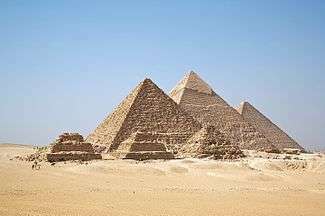 It is best known as the period when the Hyksos made their appearance in Egypt and whose reign comprised the Fifteenth dynasty. The Twelfth Dynasty of Egypt came to an end at the end of the 19th century BCE with the death of Queen Sobekneferu (1806–1802 BC). Apparently she had no heirs, causing the twelfth dynasty to come to a sudden end, and, with it, the Golden Age of the Middle Kingdom; it was succeeded by the much weaker Thirteenth Dynasty. Retaining the seat of the twelfth dynasty, the thirteenth dynasty ruled from Itjtawy ("Seizer-of-the-Two-Lands") near Memphis and Lisht, just south of the apex of the Nile Delta. The Thirteenth Dynasty is notable for the accession of the first formally recognised Semitic-speaking king, Khendjer ("Boar"). The Thirteenth Dynasty proved unable to hold on to the entire territory of Egypt, however, and a provincial ruling family of Western Asian descent in Avaris, located in the marshes of the eastern Nile Delta, broke away from the central authority to form the Fourteenth Dynasty. The Fifteenth Dynasty of Egypt was the first Hyksos dynasty, ruled from Avaris, without control of the entire land. The Hyksos preferred to stay in northern Egypt since they infiltrated from the north-east. The names and order of kings is uncertain. The Turin King list indicates that there were six Hyksos kings, with an obscure Khamudi listed as the final king of the Fifteenth Dynasty (line X.21 of the cited web link clearly provides this summary for the dynasty: "6 kings functioning 100+X years"). The surviving traces on the X figure appears to give the figure 8 which suggests that the summation should be read as 6 kings ruling 108 years. Some scholars argue there were two Apophis kings named Apepi I and Apepi II, but this is primarily due to the fact there are two known prenomens for this king: Awoserre and Aqenenre. However, the Danish Egyptologist Kim Ryholt maintains in his study of the Second Intermediate Period that these prenomens all refer to one man, Apepi, who ruled Egypt for 40+X years. This is also supported by the fact that this king employed a third prenomen during his reign: Nebkhepeshre. Apepi likely employed several different prenomens throughout various periods of his reign. This scenario is not unprecedented, as later kings, including the famous Ramesses II and Seti II, are known to have used two different prenomens in their own reigns. The Sixteenth Dynasty ruled the Theban region in Upper Egypt for 70 years. From Ryholt's reconstruction of the Turin canon, 15 kings of the dynasty can now be named, five of whom appear in contemporary sources. While most likely rulers based in Thebes itself, some may have been local rulers from other important Upper Egyptian towns, including Abydos, El Kab and Edfu. By the reign of Nebiriau I, the realm controlled by the 16th dynasty extended at least as far north as Hu and south to Edfu. Not listed in the Turin canon (after Ryholt) is Wepwawetemsaf, who left a stele at Abydos and was likely a local kinglet of the Abydos Dynasty. The Abydos Dynasty may have been a short-lived local dynasty ruling over part of Upper Egypt during the Second Intermediate Period in Ancient Egypt and was contemporary with the Fifteenth and Sixteenth Dynasties, approximately from 1650 to 1600 BC. The existence of an Abydos Dynasty was first proposed by Detlef Franke and later elaborated on by Egyptologist Kim Ryholt in 1997. The existence of the dynasty may have been vindicated in January 2014, when the tomb of the previously unknown pharaoh Seneb Kay was discovered in Abydos. The dynasty tentatively includes four rulers: Wepwawetemsaf, Pantjeny, Snaaib, and Seneb Kay. 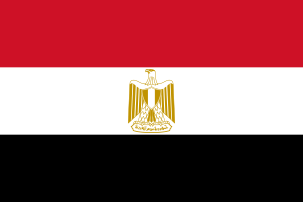 Around the time Memphis and Itj-tawy fell to the Hyksos, the native Egyptian ruling house in Thebes declared its independence from Itj-tawy, becoming the Seventeenth Dynasty. This dynasty would eventually lead the war of liberation that drove the Hyksos back into Asia. 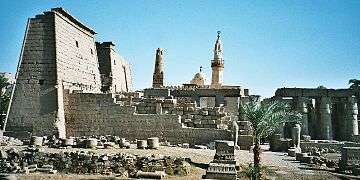 The Theban-based Seventeenth Dynasty restored numerous temples throughout Upper Egypt while maintaining peaceful trading relations with the Hyksos kingdom in the north. Indeed, Senakhtenre Ahmose, the first king in the line of Ahmoside kings, even imported white limestone from the Hyksos-controlled region of Tura to make a granary door at the Temple of Karnak. However, his successors — the final two kings of this dynasty — Seqenenre Tao and Kamose are traditionally credited with defeating the Hyksos in the course of the wars of liberation. With the creation of the Eighteenth Dynasty around 1550 BC the New Kingdom period of Egyptian history begins with Ahmose I, its first pharaoh, completing the expulsion of the Hyksos from Egypt and placing the country, once again, under centralised administrative control. 1 2 3 "Giant Sarcophagus Leads Penn Museum Team in Egypt To the Tomb of a Previously Unknown Pharaoh". Penn Museum. January 2014. Retrieved 16 Jan 2014.